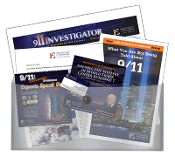 Looking for an AE911Truth ball cap? What about an AE911Truth sweatshirt or blazer? Get this fun iron-on patch and make anything you own AE911Truth-branded! Lady's T-Shirt. 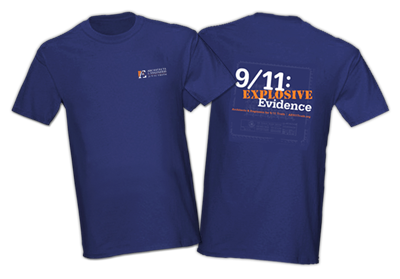 Be one of the first to wear the "Explosive Evidence" T-shirt. Click the image for more information.